If you missed parts 1, 2, 3, or 4 of this trip report then click on the corresponding number to catch up. On with the show! After a late night in Disney Springs we decided to take the next morning easy. We woke up late and then went to breakfast/lunch at Art of Animation’s food court (Landscape of Flavors). The food was decent for being a value hotel’s food court. 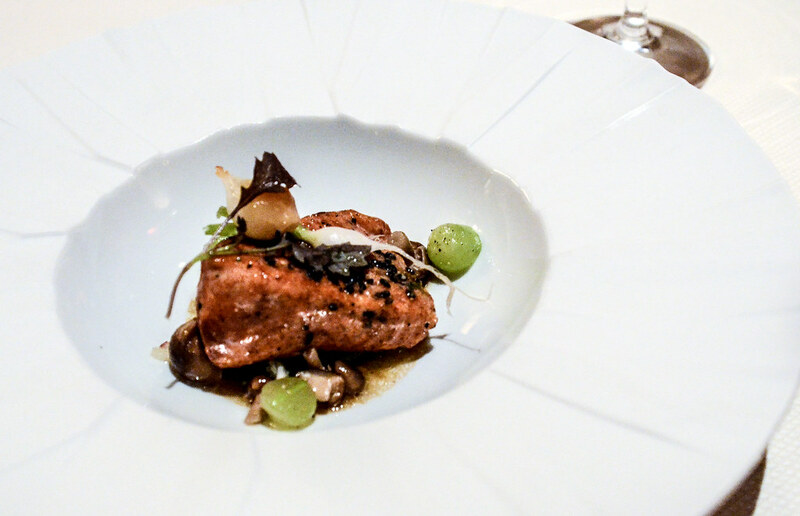 I was impressed by the variety of food offered, there was something for everyone. After a slow-paced morning we decided to spend the day at Typhoon Lagoon. While I enjoy Blizzard Beach, I find Typhoon Lagoon far superior. Not only is the theme fantastic, the wave pool is one of the best attractions in Walt Disney World with waves up to six feet. I could spend hours in that thing, swimming out to the deepest part of the pool and then catching a wave back in. I’d love to do a surfing lesson there sometime but can’t justify the cost. 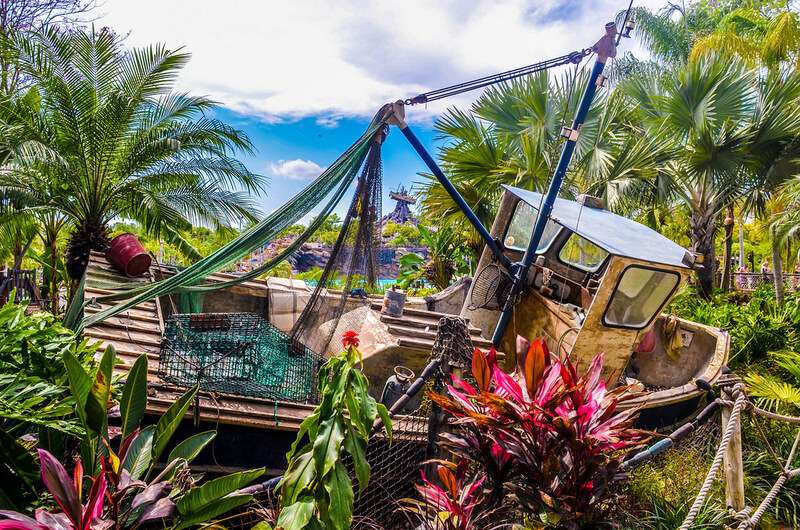 As for the rest of Typhoon Lagoon, there are some great slides and then some that aren’t worth your time. Miss Adventure Falls is the newest slide and is a nice blend of Disney storytelling with a raft ride. Typically it’s hard to put much story in a quick water slide but this does a nice job of it. Crush n’ Gusher is also a great water coaster. Aside from those two, I’d rather spend my day in the lazy river and wave pool We spent a couple of hours there before heading back to our hotel. I love water parks and recommend Typhoon Lagoon. I will concede that they need to keep upgrading both Blizzard Beach and Typhoon Lagoon. Now that Universal has opened Volcano Bay I think they will do just that. We went back to the hotel fairly early as we had a dinner reservation at Victoria & Albert’s that night. We gave ourselves ample time to get ready, as we’d been pretty unlucky with Disney Transportation that week. Dressed in our finest, we headed out to Disney’s AAA five-diamond restaurant. Making our way to the Grand Floridian was a bit stressful as we were left waiting for quite a while for busses in multiple spots. We did make it in time though. 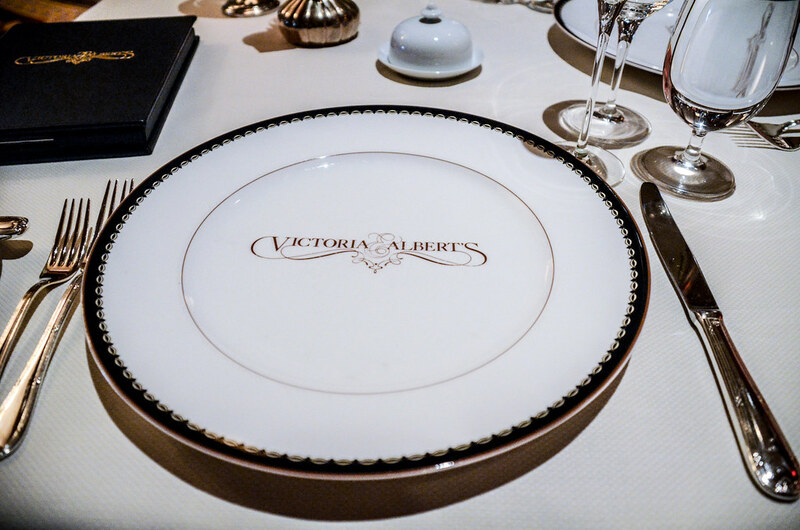 Victoria & Albert’s was nothing short of incredible. The experience was overwhelming to our senses and something we won’t soon forget. I’ll have a review to go into more detail in the coming weeks. 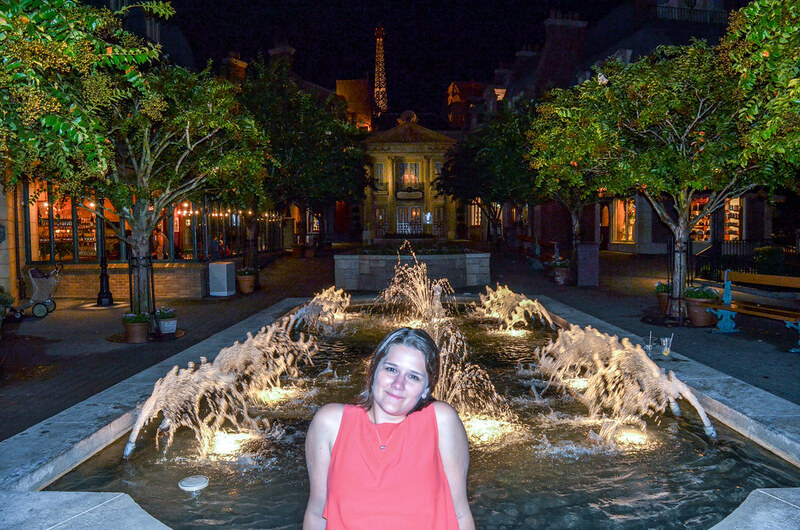 This Disney World trip was a “Treat Yo’ Self” vacation. We had splurged on an Annual Pass the previous year and knew that this was our last trip to WDW with our pass and likely for a few years. 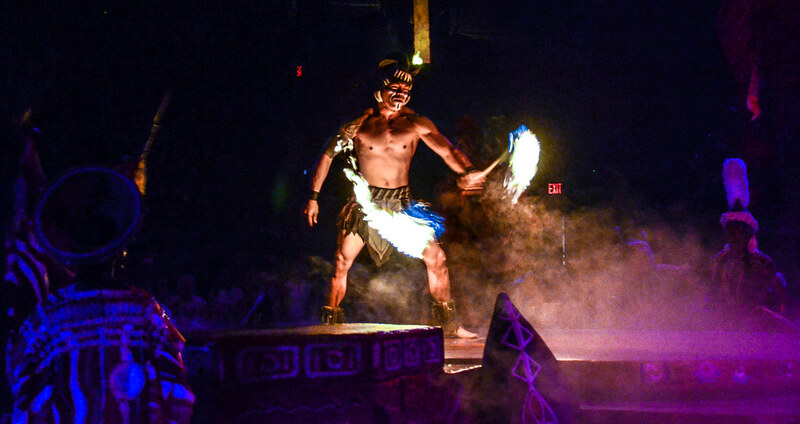 We decided this was the time to accomplish some of the items on our Disney World Bucket List. None of those items, namely the tours and Victoria & Albert’s, disappointed. While none were essential to having a wonderful trip, they did provide us with memories that we won’t forget and were a nice way to augment an experience. I’ve heard many people say that you’ll never be able to do it all at Disney World. That’s absolutely true. We had planned on hopping over to Magic Kingdom to see the fireworks after dinner. Victoria & Albert’s was a long dinner though so we opted for a showing of Illuminations in Epcot an hour later. Even being an hour later, we barely made that showing. 45 minutes after paying for the most expensive (and delicious) meals of our lives, we were sprinting through Epcot and sweating buckets. Nothing more classy than that! We arrived at World Showcase at 9:58, two minutes before the fireworks started. Even with fairly large crowds and arriving late, we still found a decent spot to see the show. It was fairly bittersweet seeing Illuminations. I think the show is likely to be changed in the next few years and I have no idea if I’ll ever see it again. 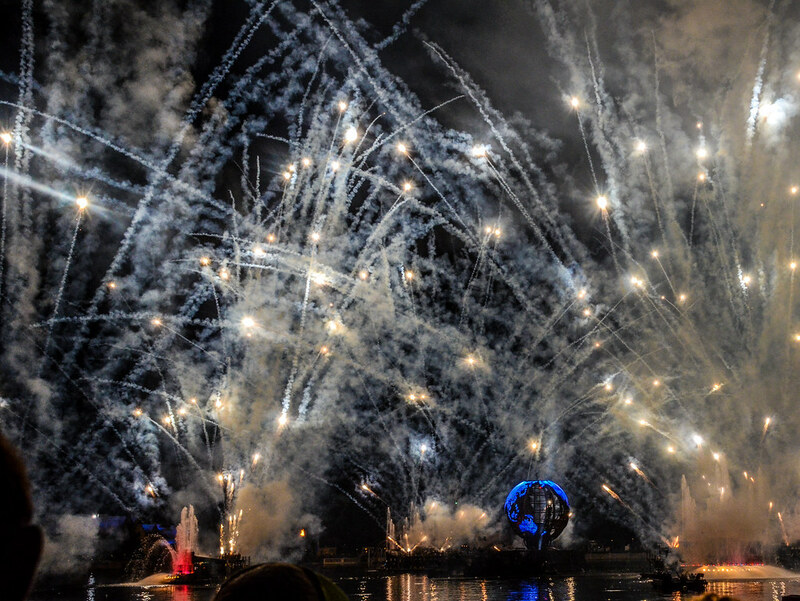 Illuminations – Reflections of Earth was the first Disney nighttime show I ever loved. I remember seeing it about 15 years ago, being wowed and then getting caught in downpour that only Florida can muster. Likewise, seeing the show during our honeymoon will also hold a special place in my heart. I distinctly remember the ash from the countless explosions raining down on us. It’s also the only show that I have never took the time to photograph. Part of that is logistics but mostly I just like to put the camera down and watch. I might regret that someday but for now I’m fine with my choice. As always, Illuminations was beautiful and I hope that the next time I’m in Epcot I will still be seeing some iteration of it. After the fireworks ended we walked around World Showcase for a while. As I’ve said before on this blog, security won’t push anyone out of World Showcase right away because many people are still in the restaurants. 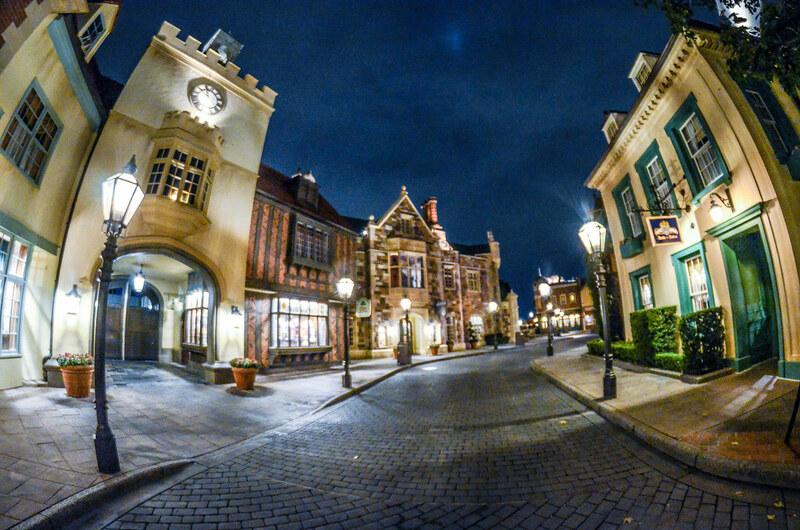 While stores in the pavilions won’t be open guests can still wander around and see the sights. This is one of my favorite things to do in any Disney Park. The beautiful Illuminations score plays in the area for a while after the show ends and this is the perfect time to sit somewhere and soak up the atmosphere. I forgot a piece of my tripod that night so my photography was limited. I ended up with a few shots that I liked but for the most part Melissa and I took a relaxing stroll, recovering from that sprint earlier in the night. Of all my nights at Disney Parks this felt like the most surreal. I had a meal that I’ll likely never have again. We sprinted through half of Epcot in a suit and dress. 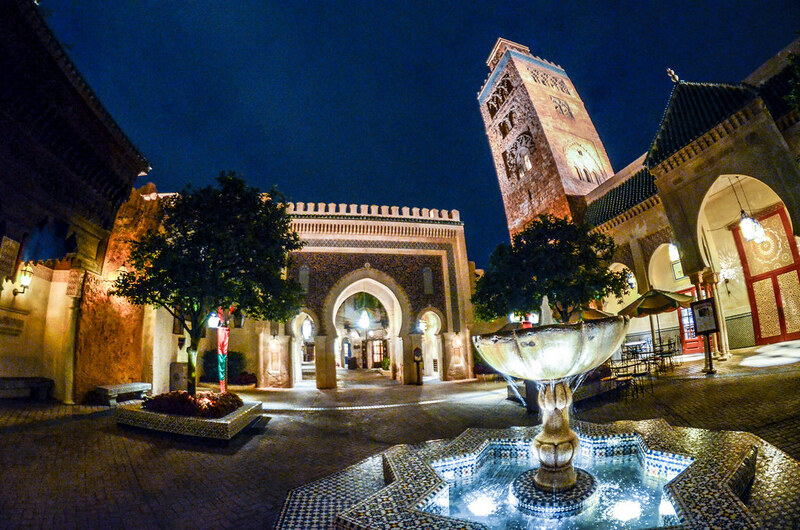 Then we wandered around a completely empty World Showcase for a while. Eventually we headed back to our hotel and I took a few photos before bed. We scored a Flight of Passage FastPass for that morning. I’m glad we tried both the FastPass line and the standby line that trip. Obviously the FastPass line is the way to go right now as you can bypass long lines. Still, the standby line offers some amazing views that the FastPass queue doesn’t offer. 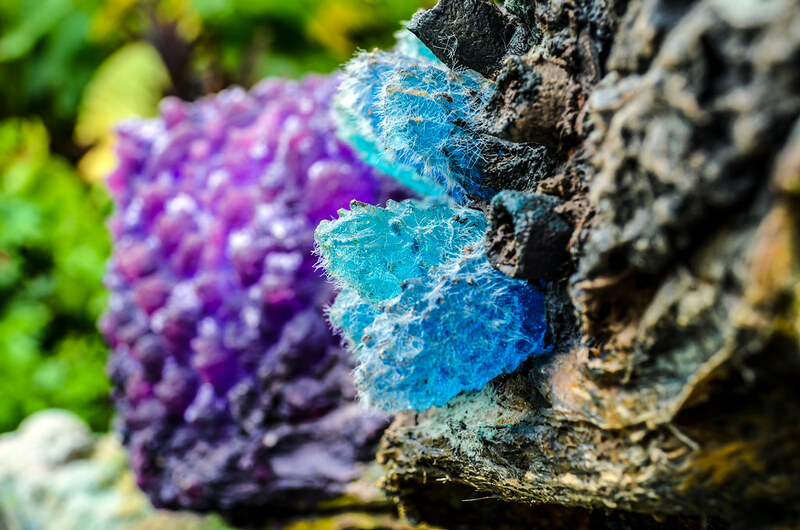 Flight of Passage is amazing, by the way. After our ride we ate lunch at Flame Tree Barbecue. While the food is fantastic at this counter-service restaurant, I think Satu’li Canteen currently holds the top spot in Animal Kingdom’s counter-service ratings. We’ll see if the menu changes at all over the next year but right now the food and value is fantastic. Both counter-service options offer some of the best views though. Satu’li Canteen’s outdoor seating can be blocked by the hoards of guests though. Flame Tree Barbecue doesn’t offer many issues as the closer you get to the water the more seating there seems to be. 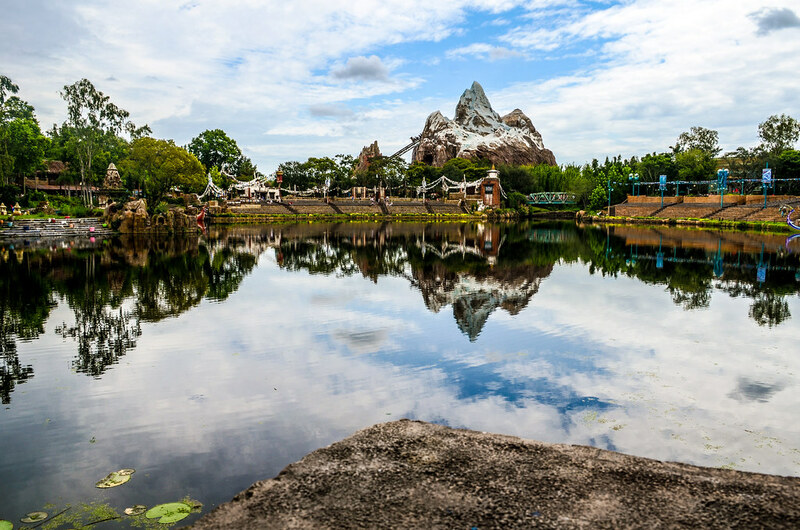 I’m very happy that the seating they added for Rivers of Light didn’t take away from the beautiful view of this area. After lunch, we went on a safari. My wife is a good sport as she always agrees to go on the attraction with me no matter how many times we’ve been on it. 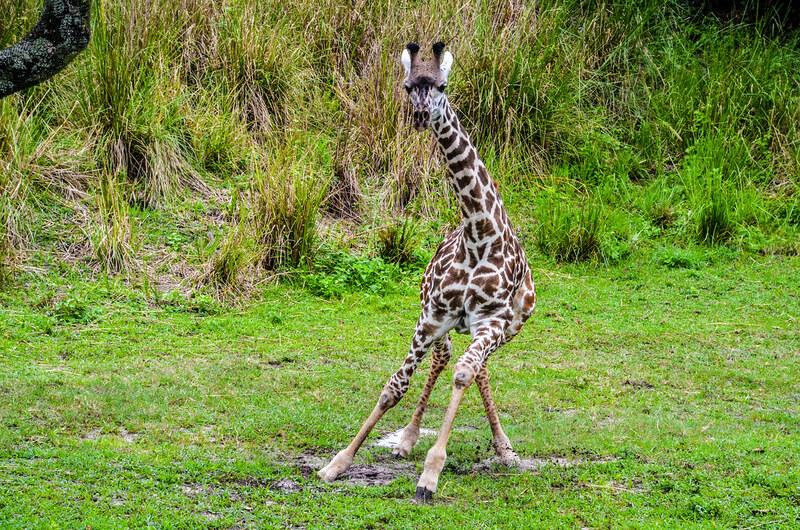 On this occasion, a giraffe jumped out from the brush and started running by our truck. We also caught great views of a monkey, rhino and the elephants. Next on the agenda was Festival of the Lion King. This was a sort of greatest hits type day as it was out last visit to Animal Kingdom under our annual pass. 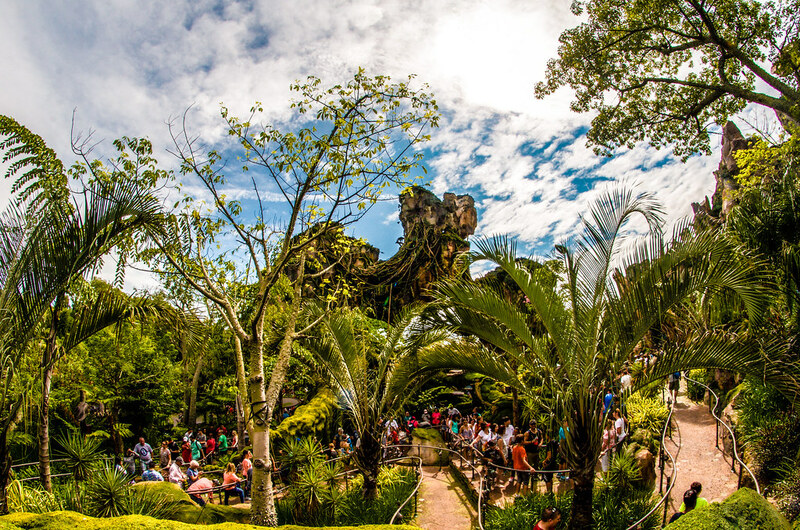 This year has cemented Animal Kingdom as my favorite park at Walt Disney World. Yes, Magic Kingdom is probably a better theme park (at least from an attractions standpoint) but Animal Kingdom is more appealing to me. Festival of the Lion King is a big reason why. Seeing the show one more time was a similar feeling to Illuminations. Thankfully, I don’t see Festival of the Lion King going anywhere over the next few years. We walked from Harambe to Pandora on the newly opened pathway. This was a beautiful walk that offered some great views. 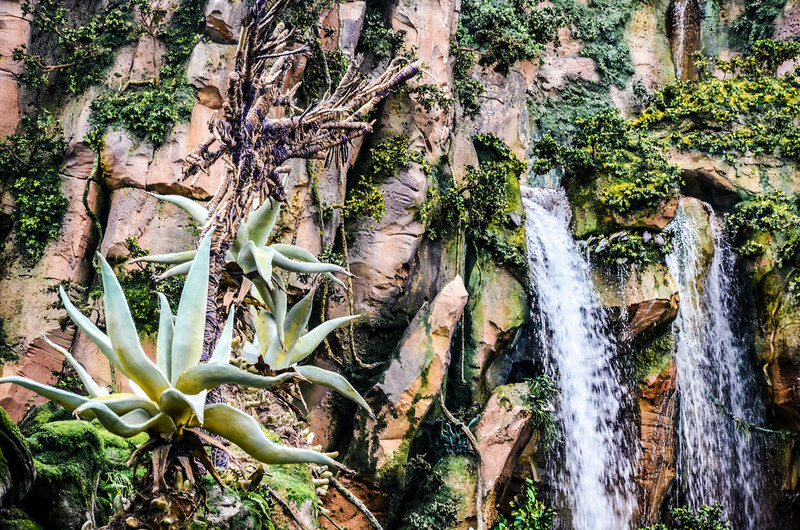 I think walking from Pandora to Harambe may offer some better views but if you take your time then you’ll get views from both ways. 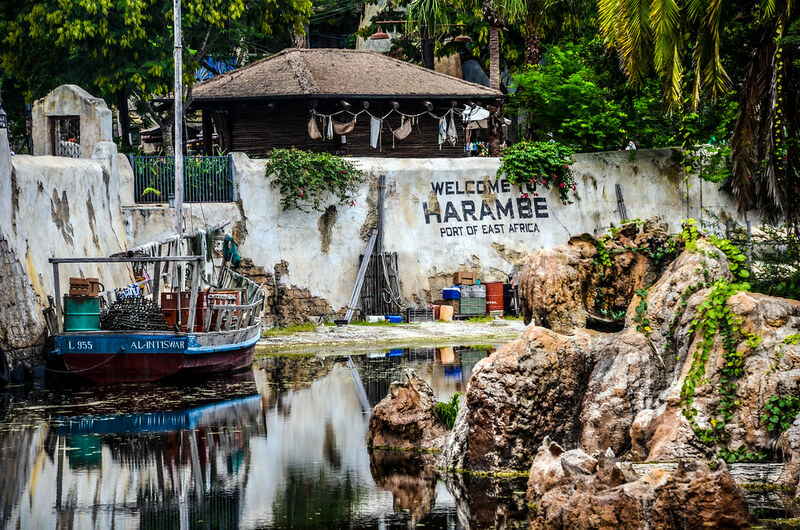 Looking up the river towards Harambe is one of the best sights in the park. 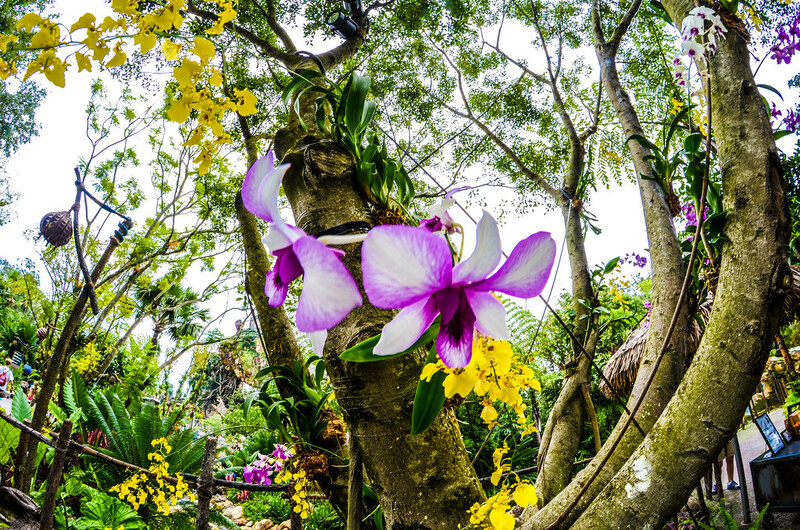 The handcrafted details blend seamlessly with the nature aspect of the park. 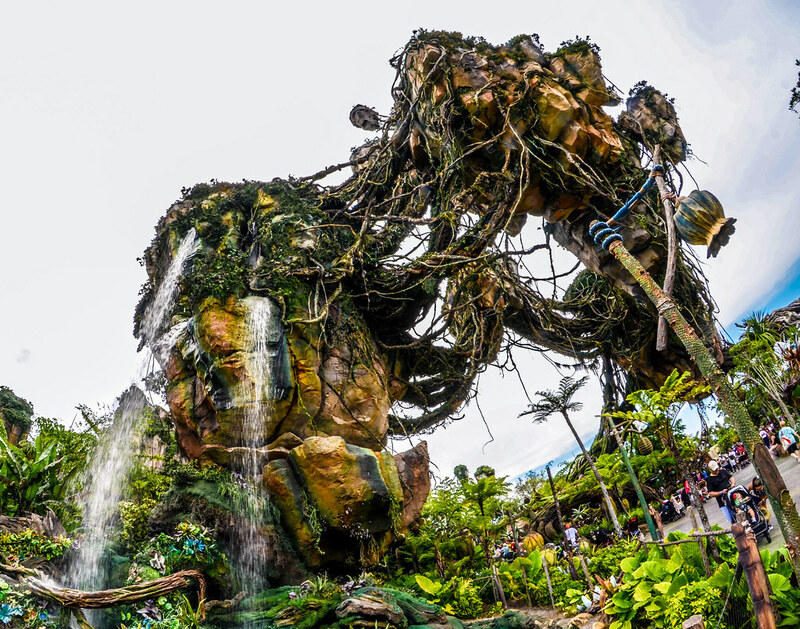 Our last hour in Animal Kingdom was spent wandering around Pandora. 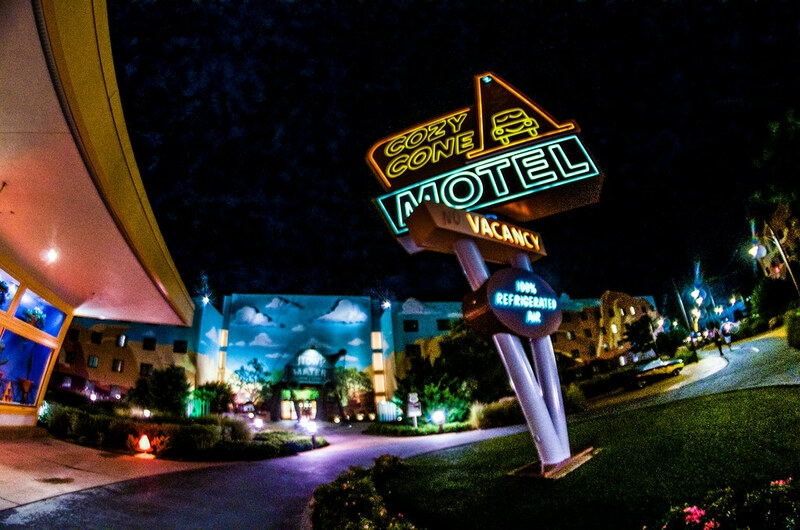 I’ve spent many words on this blog talking about WDW’s newest land so I won’t bore you with more. 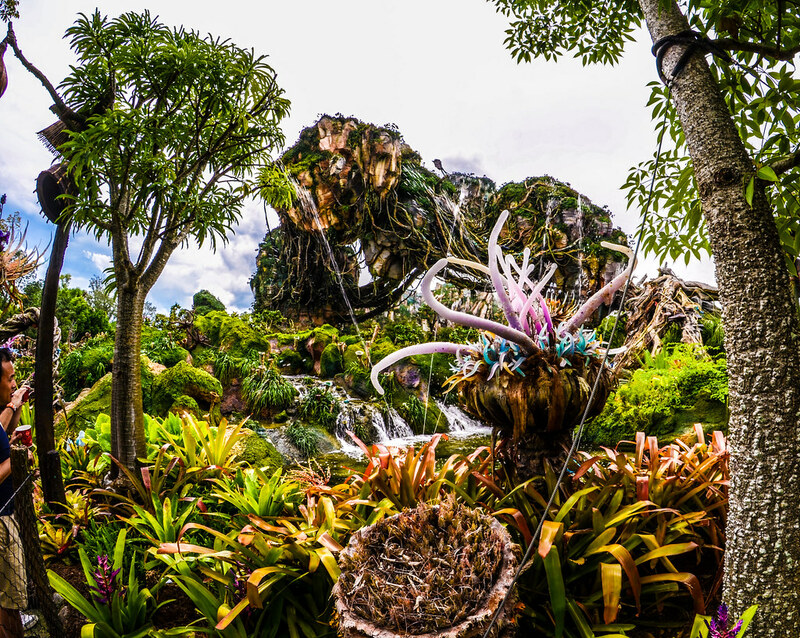 Instead, here’s a few more photos from the gorgeous Pandora. Unfortunately, the sky wasn’t cooperating with me that day so the background was pretty ugly. We headed out of Animal Kingdom after exploring for quite a while. 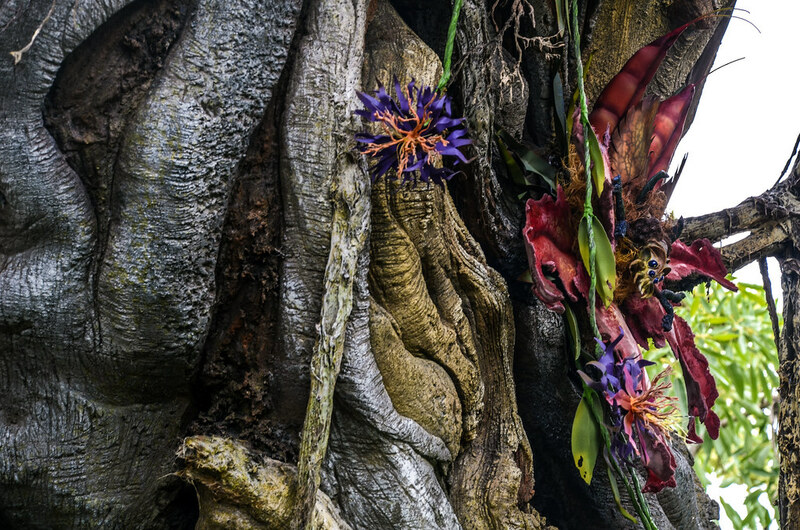 We are still blown away with the beauty and detail of both Pandora – World of Avatar and Animal Kingdom as a whole. That’s where we’ll end part 5 of our trip report. 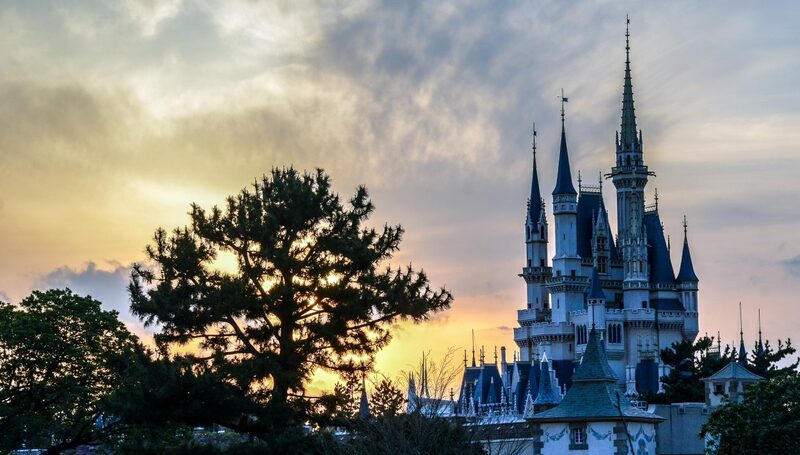 Next installment will conclude the series, detailing a few trips to Magic Kingdom and Wilderness Lodge! If there are any questions or thoughts about our trip report (or just anything in general) please leave them below in the comments. Thank you for reading Wandering in Disney, if you enjoy what you’re reading please subscribe to the blog and like our social media pages. You can do both of those things on the right side of this page. Have a great day!